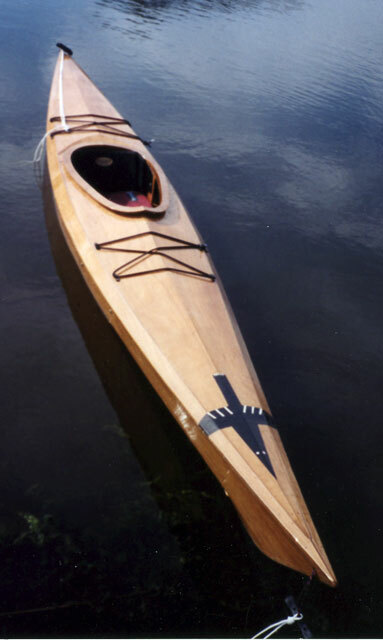 Bob Case built this Arctic Tern kayak from a Pygmy Boats kit. It is 14' long with a 23" beam. He added a little artwork on the foredeck, an Inuit representation of an Arctic tern, with red eyes on a white background. He writes that the boat was a joy to build and a joy to paddle. It is slick on the water, quick to respond, and very fast for a relatively short kayak. Bob uses his kayak on the waters near his home in Bluffton, SC.